Smarter Loans > How do Secured Business Loans Work? How do Secured Business Loans Work? Business owners of any kind who need money to start, improve, or expand their companies usually apply for secured business loans. This type of loan is similar to mortgages or automobile loans, for instance, because security collateral is required by the lender. Since secured business loans usually involve putting the business or its assets up for collateral, it is very important for the owner to ensure they do not risk losing the business due to non-payment. Companies that have assets in addition to the business have much lower payments with secured business loans. Land, inventory, accounts receivables, and other property can be used as collateral to lower payments and get longer repayment terms. Business equity loans are secured business loans that allow the owner to use a portion of their business as collateral to get financing. Because the loan is secured, there is less risk for the lender. Because of this, business equity loans normally come with lower interest rates and more flexible payment terms. An additional benefit of a business equity loan is that the owner is only putting business assets at risk, rather than personal assets. These loans are designed for owners to use the proceeds to grow the business, make it through a slow period, or other financial demands as needed. One downside of business equity loans is that, in exchange for lower rates with less than perfect credit, the lender may require collateral up to 75% of the business. A secured term loan is money borrowed from a bank for a certain amount that is repaid on a specific schedule. The interest on these loans can be fixed or a floating interest rate, which means the rate fluctuates over the life of the loan depending on the market. These type of secured business loans also come with longer repayment terms. Qualification for secured term loans tends to be easier as compared to unsecured loans. Lower interest rates are an added benefit of these type of secured business loans. Many banks offer secured business loans that are designed exclusively for a business to buy equipment. The way they work is that the owner applies for a loan for a piece of equipment. If approved, the equipment becomes the collateral to secure the loan. Once all payments on the loan are complete, the business owns the equipment. A default in payments can result in the bank repossessing and taking ownership of the equipment. Equipment loans are well suited for businesses that utilize expensive heavy equipment such as backhoes and tractor trailers. The monthly payment on the equipment is much less than the cost to purchase these items outright. Business lines of credit differ from secured business loans. Often, however, they are used in conjunction with a secured business loan to take care of the various financial needs of the business. Secured business loans are usually made for a certain amount that is to be repaid. They are most often used for long term expenses incurred by the business, such as acquisitions and expansions. Once the loan is paid in full, the contract ends. Any lien on the collateral that was used to secure the loan is released. A business line of credit is commonly used to meet short term goals. This type of financing involves an arrangement in which the bank or other financial institution approves a business owner to have access to a certain loan amount. It is a form of revolving credit in which the borrower can maintain the amount through a series of withdrawal and payments cycles, as long as the maximum is not exceeded. Some lines of credits are approved as demand loans. In a demand loan, the outstanding balance can come due immediately at the bank’s request. 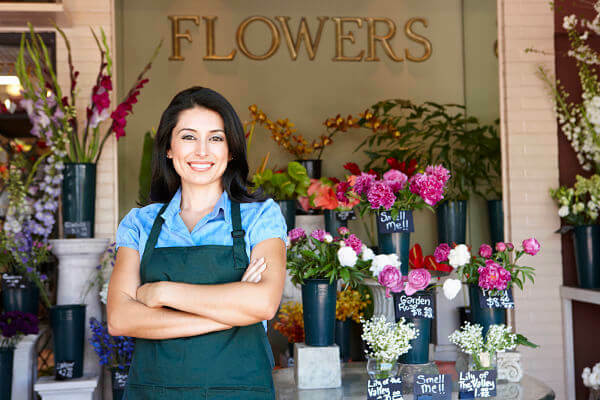 For the new or established business owner, secured business loans can mean the difference between staying above water or going under financially. Each type of secured loan has unique features and benefits so that business owners can get funding that is tailor made to their company’s needs and success.